OPEN HOUSE SUNDAY APRIL 7th (1-3pm) - BEAUTIFULLY UPDATED AND METICULOUSLY CARED FOR PROPERTY IN HIGHLY SOUGHT AFTER BEL PRE WOODS! LOVELY FLOOR PLAN FEATURING FOUR BEDROOMS AND THREE FULL BATHROOMS, A LARGE EAT-IN KITCHEN, AND A FINISHED LOWER LEVEL INCLUDING A BEDROOM/OFFICE, LAUNDRY ROOM, PLENTY OF ADDITIONAL STORAGE, AND A FAMILY ROOM WITH FIREPLACE! ALSO ENJOY PEACEFUL OASIS OF A BACKYARD FILLED WITH NATURAL BEAUTY, A LARGE STORAGE SHED, AND FLAGSTONE PATIO PERFECT FOR ENTERTAINMENT! 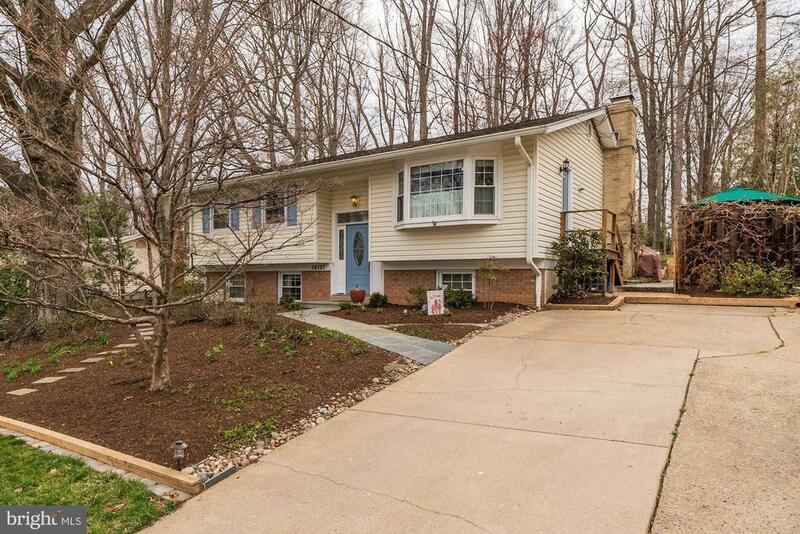 JUST MINUTES FROM METRO, ROCK CREEK PARK, LOCAL SHOPPING, AND AREA SCHOOLS! COME QUICKLY!